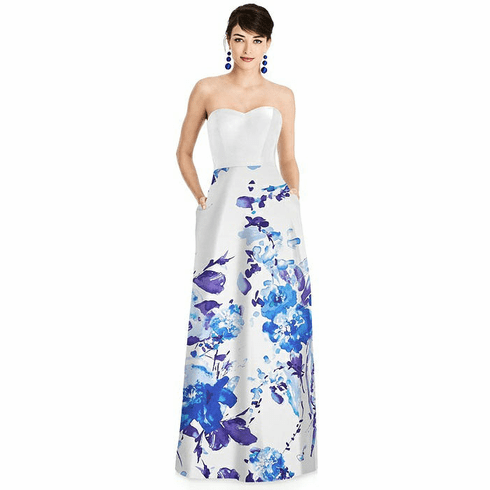 Description: Full length strapless sateen twill dress with sweetheart neckline. Pockets at side seams of full a-line skirt. Dress is available in a black bodice with botanica skirt, black bodice with polka dot skirt, blush bodice with blush bouquet skirt or white bodice with white bouquet skirt.